﻿ Smith's Pleasant Valley Campground & Cabins - Ohio. Find It Here. Welcome to Smiths Pleasant Valley Campground & Cabins! We are your premiere destination for family camping in Ohio! 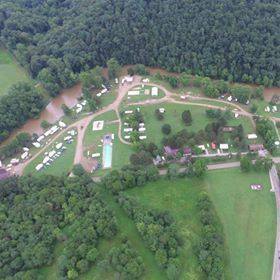 Come stay with us while you explore the beautiful Mohican State Scenic River, Mohican State Park and Amish Country area of North Central Ohio outside the village of Loudonville.Our campground offers many amenities, including outdoor movies, a playground, horseshoe pits, corn hole, volleyball court, fishing, and canoeing. We also offer cabins for those who do not want to go the traditional camping route. On or Off the river, with electric (20*30*50 amp) and water shared.